Catalog Home > Avery® Steps Sticky Notes, Pastel, 3 pads per pkg/150 per shts per pad"
Avery® Steps Sticky Notes, Pastel, 3 pads per pkg/150 per shts per pad"
"Use any size, any color, any time! Five different sizes in one pad, each in a different color. Access the color or size of your choice without breaking the pad apart. Removes easily, yet leaves no residue behind. 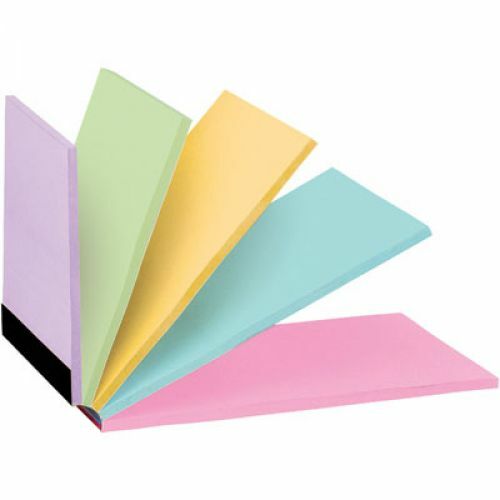 There are 3 pads per package, 150 sheets per pad and pastel in color."